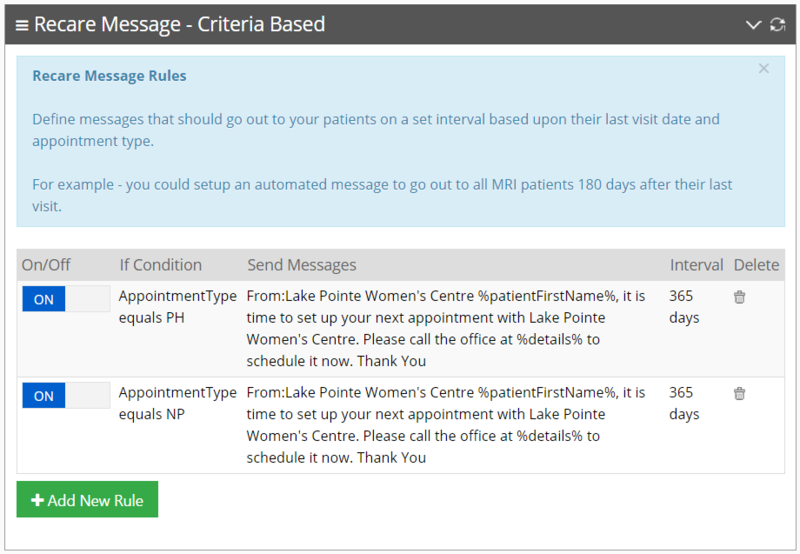 Define your own rules to send out recare messages to your patients. Using the data we pull from your current database, DoctorConnect will automatically send out messages every day to help drive income. Send a message to any patient that has not been seen in a year. Send a message to certain appointment types every 30 days. Send a message to all patients meeting a specific status or criteria. You specify the message, criteria and the time frame – we take care of the rest.